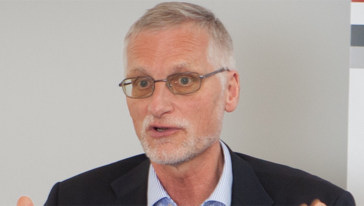 Jon Lomøy is the former Director of the OECD Development Cooperation Directorate. Lomøy, a Norwegian national, has devoted his professional career to development. From 1989 to 1996, he has held senior positions at the Norwegian Agency for Development Co-operation (NORAD) headquarters. As Head of the Eastern Africa Division, and Deputy Director and Director of the Africa Department, he was responsible for the management of bilateral development co-operation with Africa and initiated a major reorganisation of the department to decentralise programmes and enhance work on general policy issues. Lomøy returned to NORAD from 2001 to 2004 as Director of the Southern Africa Department, where he implemented the first process of country-wide silent partnership with Sweden and Malawi. Lomøy managed also bilateral development programmes in his capacity as Ambassador of Norway in Zambia and Tanzania.